Tips for Sellers: Browns Estate Agency, Property Estate Agents in Teesside and Darlington. You've made the BIG decision to sell your home. Where do you go from here? Don't rush to decorate throughout, otherwise people will wonder why you're selling. Do freshen the dull parts - a quick coat of emulsion or gloss can work wonders. Your house can be sold before you even see the buyer. Stand outside your front gate. This is where potential buyers begin. Professional estate agents say that within 15 seconds a buyer has developed a definite opinion of your property. 15 seconds! Time to see a tidy garden, clean windows and uncluttered access to the front door. Time to see loose tiles, an uncut lawn, weeds everywhere and stains from leaking gutters. Make the potential buyers feel at home. Make them feel it could be their home. Open your curtains and, if viewing in winter, turn all your lights on. If it's a chilly evening, make sure the heating is on. Switch off background noise, television etc. Buyers like a relaxing atmosphere to make up their minds. Let them look around at their leisure - they're spending a lot of money - you hope. Hall: Should be well lit and inviting. Remove bicycles, etc. which normally show your house is a home. A small vase of flowers on the hall table looks welcoming. Lounge: Should be clean and tidy. Remove any washing, which is drying over radiators and keep floor free from any wires or animal and children's toys. Kitchen: The cleanest room in the house. It should have tidy worktops and sparkling cooking facilities. It needs to smell fresh. Bathroom: Bright, clean and tidy. No dripping taps or torn shower curtain. Fresh soap in the basin and fresh towels on the rail. A background perfume will also help. Bedrooms: Clean and tidy with fresh bed linen. Garage: Show the buyers this is the space for their car - not a junk store. Get rid of your accumulated junk. You'll need to clear it anyway when you move home. Always be available. If a potential buyer wants a second visit, be at home. Your estate agent and solicitor should have your phone number(s) and be able to contact you at any time. If someone wants to buy your home, don't cause delay. 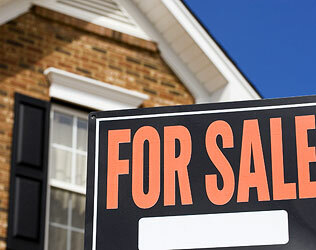 You need to be available at any time to get the best possible price for your property.